Discussion in 'Downgrading' started by littlebalup, Apr 7, 2015. 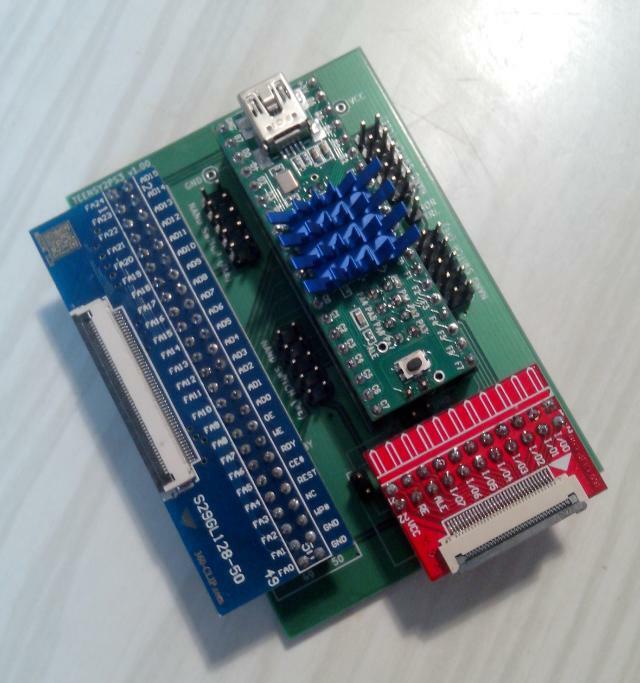 - Smallest as possible with board traces shorter as possible. 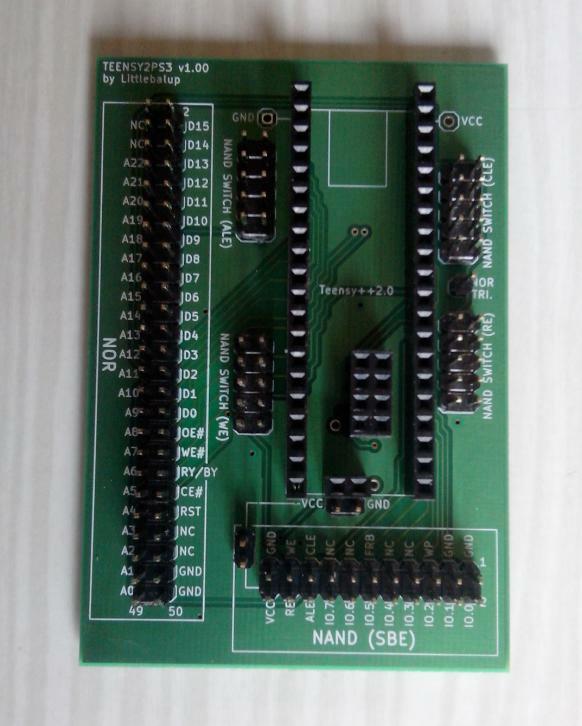 - Compatible NOR and NAND (SBE) and switchable/reversable between both. - Compatible 360-Clips NOR and NAND. Xx11xx22xX, Yugonibblit, STLcardsWS and 2 others like this. My intent is not to sell them or make business. It is open hardware. Everybody is free to make manufacture one or some with my shared files. 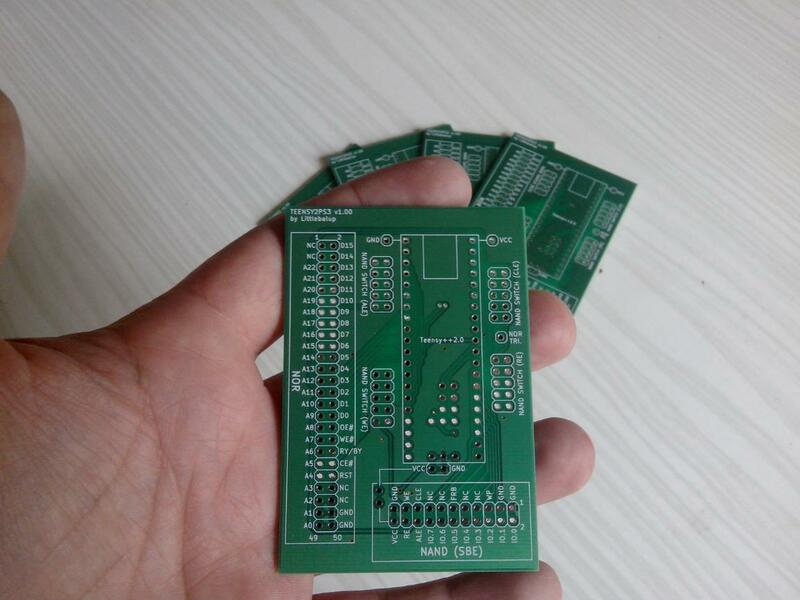 There is many shops where you can order custom PCB's like OSHPARK, Jackaltac, etc. Oh well thats awfully nice of you^_^ thanks. Waiting for 1.01 Thank you for this project. Edit: You used "Eagle" to build projects? I'm in love!! I have been eyeing a cheap CECHB-01 and want a perma install flasher solution. Guy only wants a phat chipped PS2 with SATA network adapter and a small 2.5" HDD and $50 cash. Hasn't ever had YLOD but alas is on 3.60 just over the software solution. 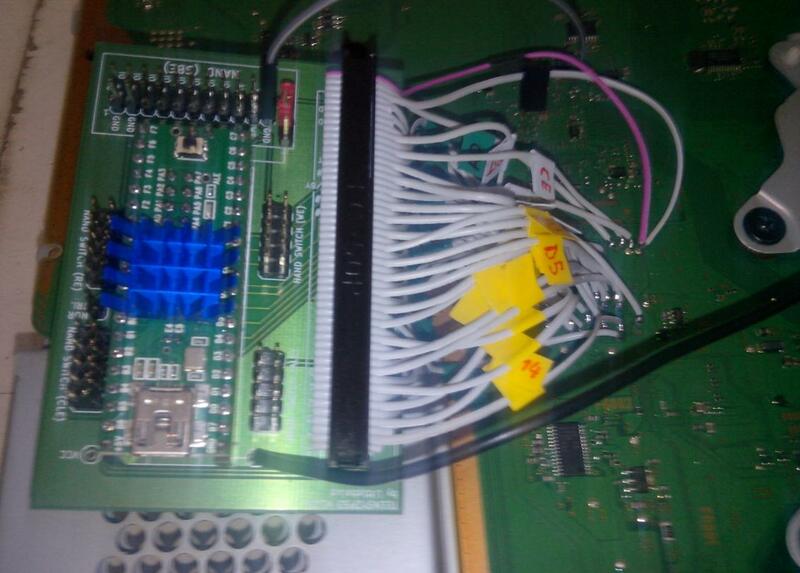 Last time I used a teensy++ and the 360 NAND clip. Was almost a solderless solution. At least it was 100% solderless on the PS3 side as my skills just aren't that good. I loaned it out to a buddy of mine that's a marine and he never got it back to my before deployment. Then my CECHA-01 got YLOD for the last time and could never find someone to reball it only folks offering a reflow which it had already had twice before. I have a nice Linksys gaming WiFi adapter so I can use that. Still gonna miss the card reader but that all black murdered out system looks so much better then the crappy chrome of the CECHA-01 models. 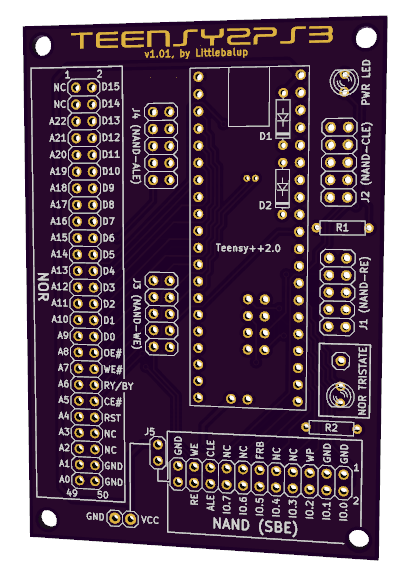 I'm using KiCad. It is open source cad software. They're his toes I think. v1.01 release coming very soon. Can we buy them from you? No, sorry. I'm just taking care of some french friends. But it is very simple to order one from OSHpark as example. v1.01 now released. See edited first post of this topic. @littlebalup I did get this PS3 mentioned here and your board is inside it nice and neat!!! Please, read the manual for the details. 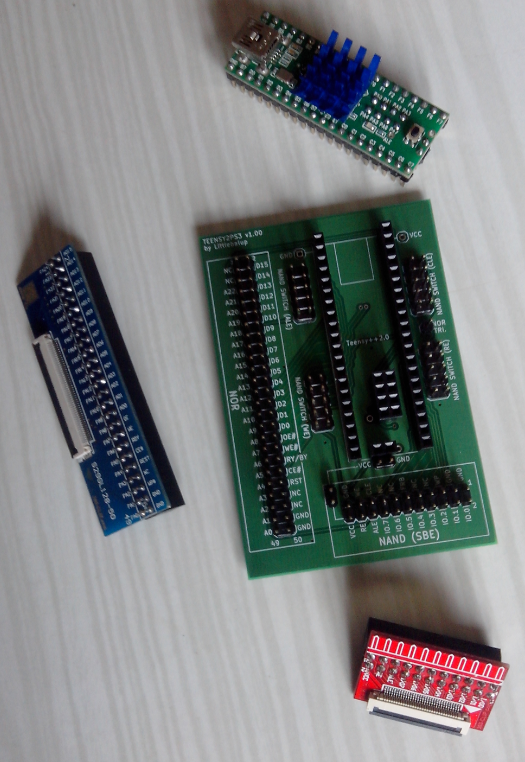 And yes, you'll have the re-program the teensy and switch jumpers between NOR/nand usage.